Changing up the window treatment is a quick way to lift up a room’s aesthetics. While plastic blinds used to be a prominent feature in offices, these days you can get them in various styles and materials. And what they lack in regalness that drapes offer, they make up for in flexibility and affordability. Blinds are window coverings consisting of single panels or multiple slats that can be raised or lowered, with slats that tilt open or close. Blinds are fully customisable and versatile in terms of light control, design choices, and material options. With so many choices, how do you even decide on just one? Help is here. 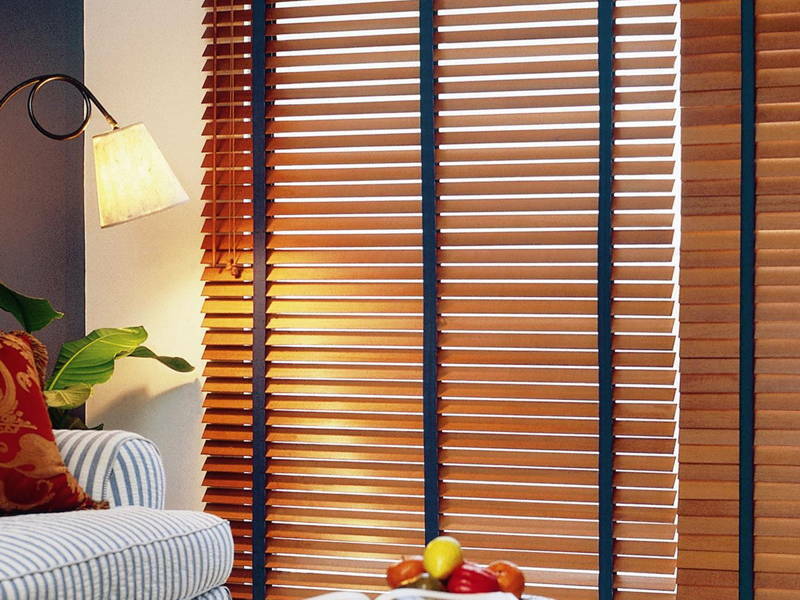 Wood blinds are quite simply: natural wood slats. A classic window treatment that complements various themes, its construction is simple and sturdy on top of being easy to operate. 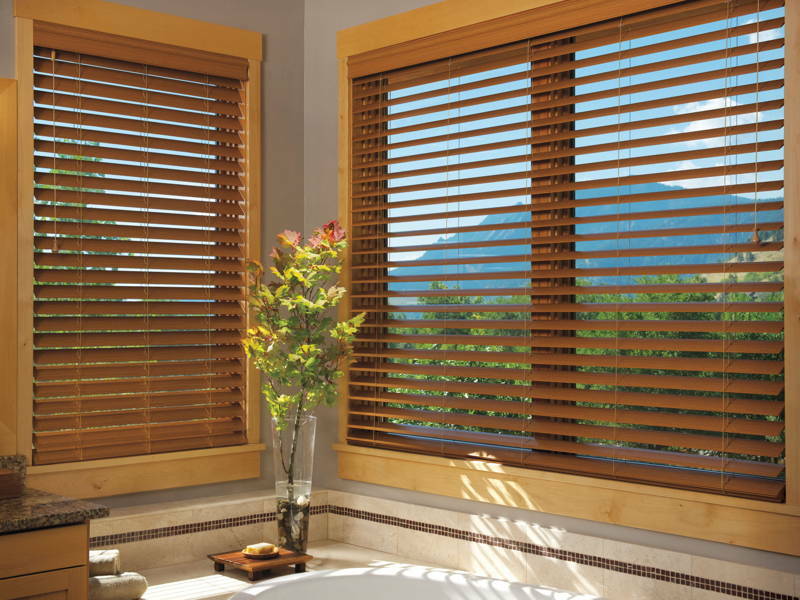 The finishes range from light pine to bamboo, while the slat size is completely up to the degree of control you like with regards to privacy and light control. 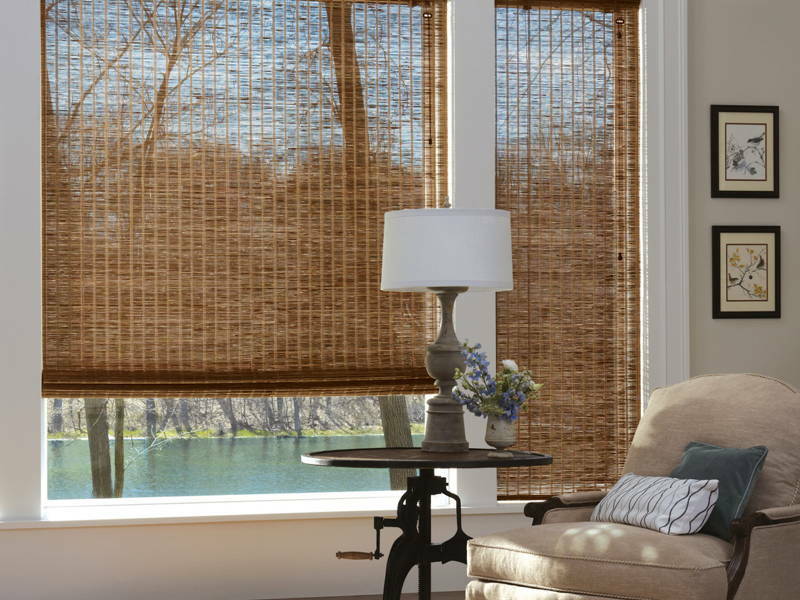 Woven wood shades can transform a room in the most effortlessly chic manner. 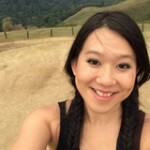 In Malaysia, woven shades made of bamboo are the most common and easiest to find on top of being relatively inexpensive. Whether used on its own or paired with sheer curtains, they add to a rustic interior. Suitable for: Country-style bedrooms and tropical-inspired kitchens. 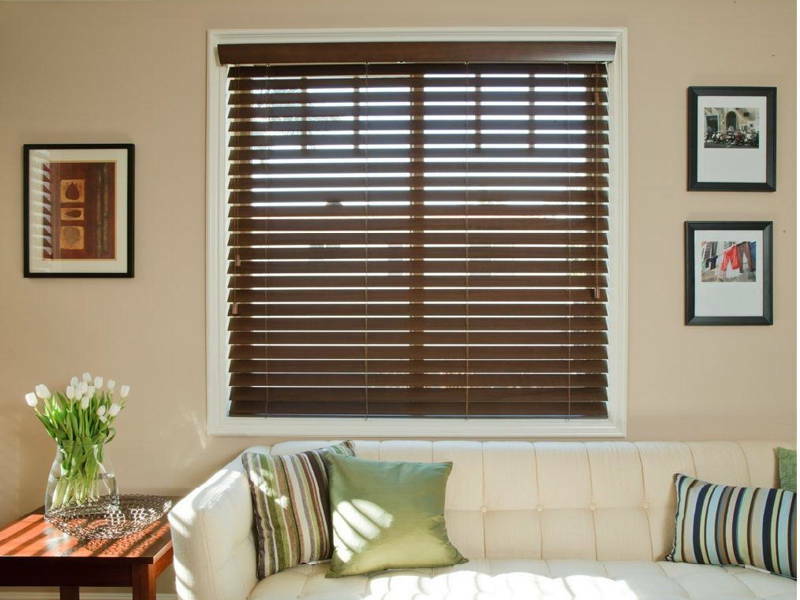 Faux wood blinds offer all the aesthetic benefits of real wood blinds, on top of being cheaper and easier to maintain. That’s because they won’t fade or fray, and only need a quick swipe with a damp cloth to clean. They work well in rooms with high humidity. Suitable for: Country-style kitchens, beach home-inspired bathrooms, and guest rooms. 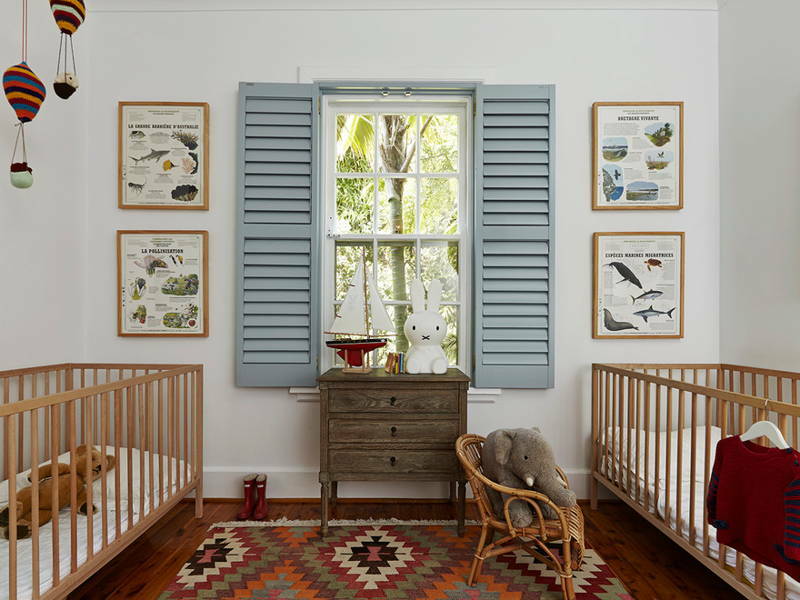 Blending functionality with elegance, shutters are a dynamic solution to window treatments. 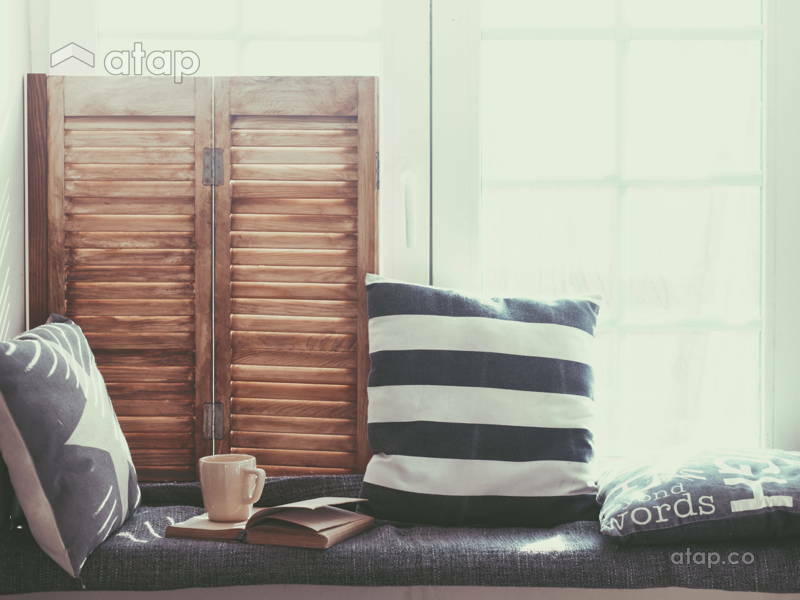 Besides making you feel like you’re living in a private beach cottage on a cliff overlooking the ocean in Hawaii, shutters help control incoming light and can completely shut off light when closed. They also insulate against heat, cold, and sound for a timeless all-rounder. This low-cost answer to window treatments is for those looking for something basic that does the job. With a simple twist of the wands, mini blinds offer full control over privacy and lighting. They’re also available in different colours, make, and thickness. Perfect for the unfussy homemaker. 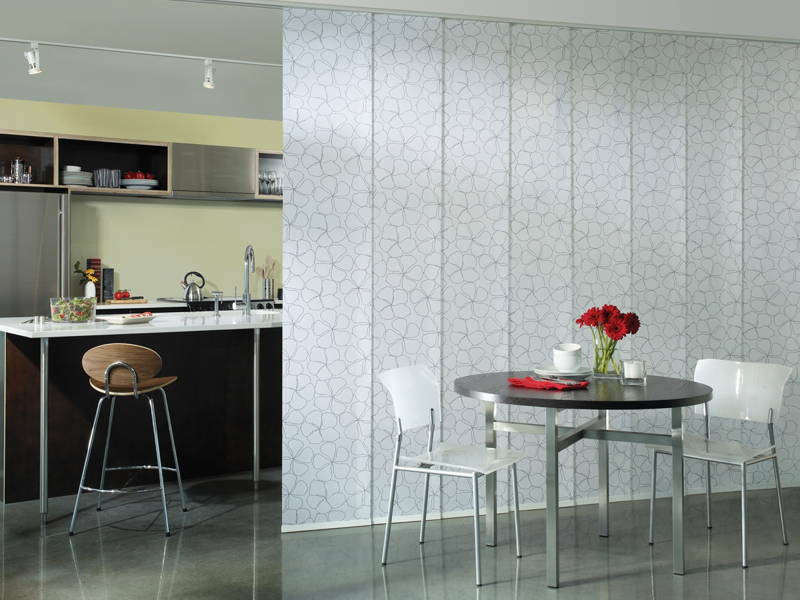 Need to cover a large space like sliding glass doors or spacious French windows? Panel track blinds can help you with that. They marry the aesthetics of drapes with the functionality of blinds. You can even mount them to the ceiling as a room divider. Suitable for: Balcony sliding door, rooms with contemporary décor, and rooms with an open plan. So named for their design inspired by beehives, and also known as cellular shades, these shades are numero uno for temperature insulation. Those little cell pockets trap air to keep the heat out during the worst Malaysian heatwaves (and your electricity bill will thank you for it). These work inversely to keep the cold out in colder weather. Suitable for: Rooms that tend to get very warm or cold and rooms with large windows or glass doors. 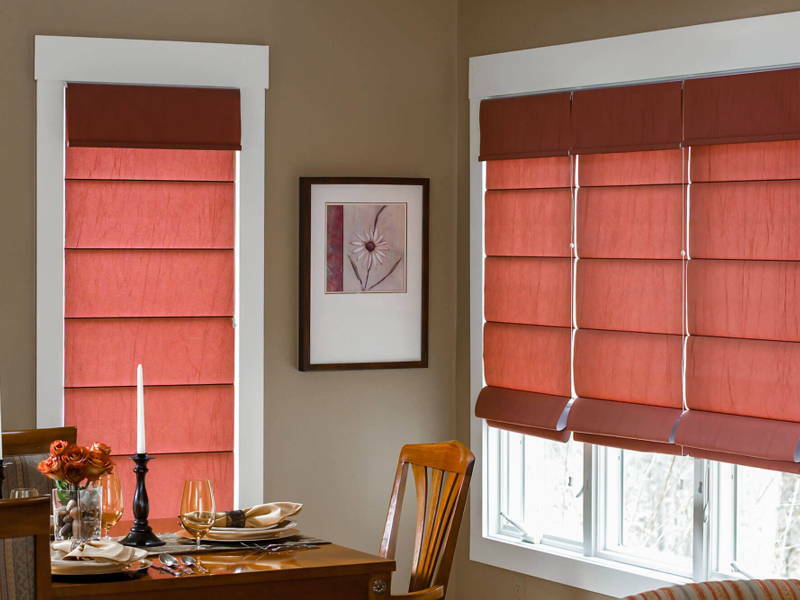 Made with cloth, roman shades offer the impression of drapes while maintaining its shade-like functionality. When closed, they hang like panels of cloth and when folded up, they wrap the edge of the window much like a valence. They’re also highly versatile, as they come in different colours and can easily match the room. Suitable for: Bedrooms, dining rooms, and offices with any theme – they’re versatile! 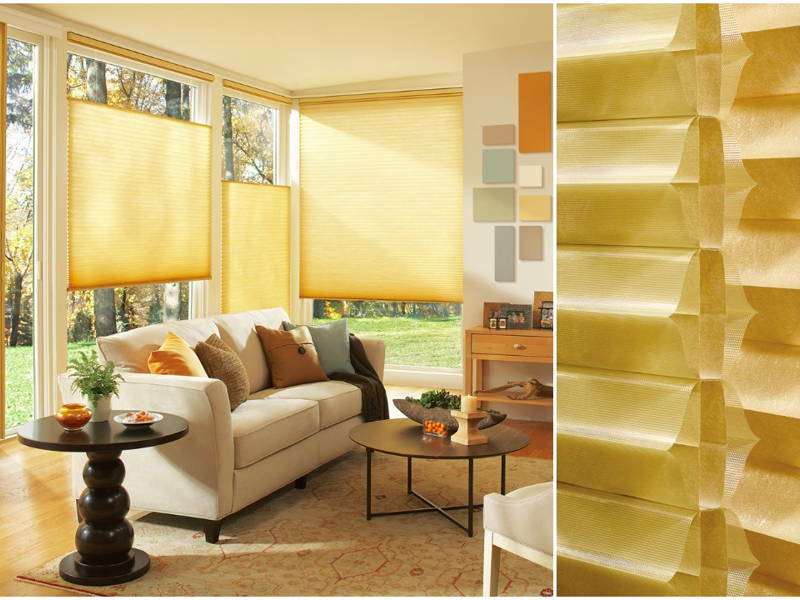 Roller shades work in much the same way, the only difference being that they roll onto a cylindrical rod when opened. 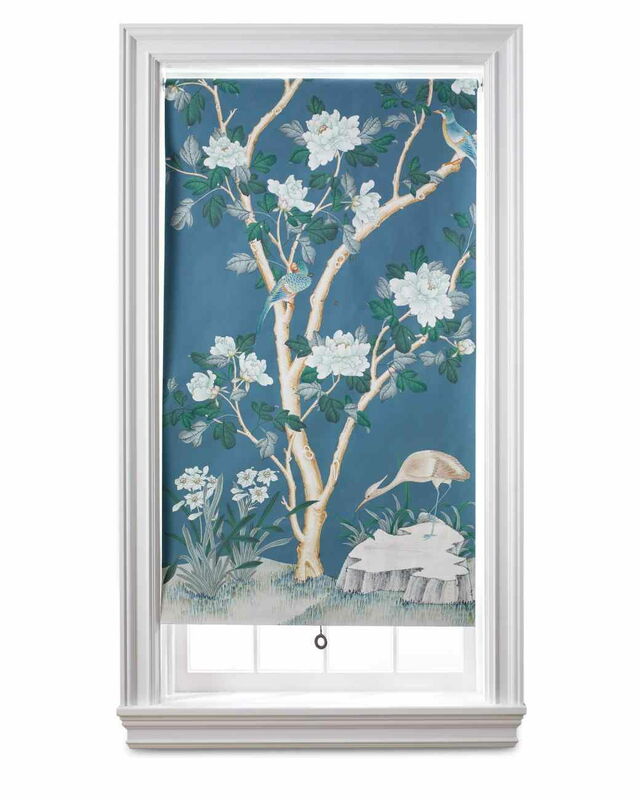 The advantage of roller over roman shades is that the fabric is neatly tucked away when opened, so you can even have the fabric customised with special prints. Take a literal leaf from this intricate design. 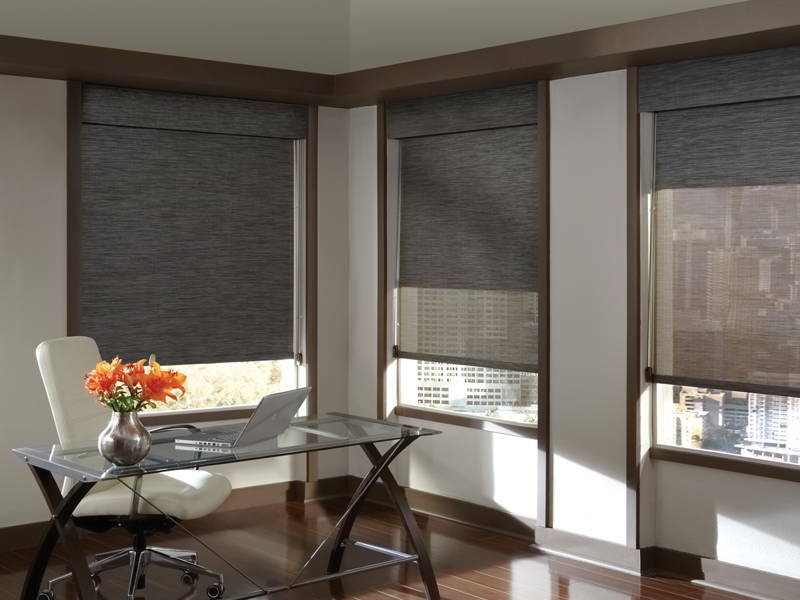 Another two-fer solution, these sheer shades offer the look of fabric with the functionality of blinds. The best quality of this shade is that it lets natural light in, brightening up the room its in. If you have a lovely view of the outdoors but it gets too hot come midday, these shades are the solution to your woes. 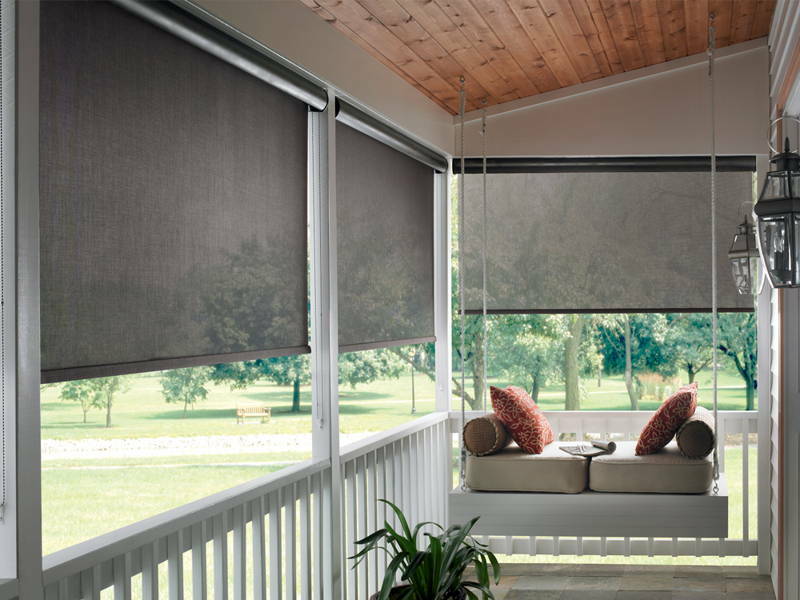 Made with screen material, these shades cut glare and UV while preserving the outdoor view. If you need a bit of privacy but still want to capitalise on your view, you can layer the shades with curtains. It’s also another energy-efficient window treatment solution. Suitable for: North- and south-facing rooms, home offices, and entertainment rooms. 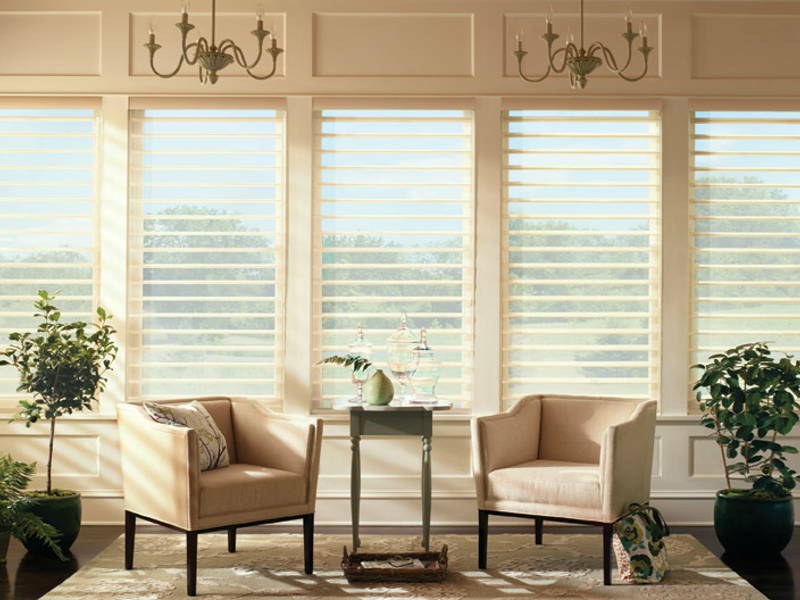 If you’re fortunate enough to have a beautiful patio or porch, bring it to the next level with these lightweight shades. Also made from solar screen material, outdoor shades block heat, glare, and UV rays while still letting wind and breeze through. On top of an extra bit of privacy, they also work as a first level of protection as the sun will have a hard time even reaching your windows. Suitable for: Gardens, patios, porches, and outdoor spaces. Not sure which style suits your home? Get in touch with Malaysian interior designers.